Okay, sometimes “It’s not my responsibility” is simply a truthful, accurate statement of circumstances and limitations. At work we may have defined responsibilities, and exceeding them or stepping over those of others could lead to chaos and disruption. The law establishes responsibilities and obligations, too, and exceeding those boundaries could lead to unwanted consequences. Family ties may mandate responsibilities legally and morally, especially based on closeness of relations. Beyond that, however, there’s a huge realm of discretion where we can choose to accept or undertake responsibility or not. This may occur in the context of taking a stand, helping or protecting someone, or contributing financial support. When we exercise our discretion to take responsibility, we are making a commitment notwithstanding the lack of external obligation to do so. That commitment should be every bit as strong as an institutionally imposed mandate. Despite religious chest-thumping by some, I have to say that we are in an age where serving as each other’s keepers does not appear to be in style. Whether in our workplaces or other communities and relationships, I hope that will change. The growth of “crowdfunding” or “crowdsourcing” sites such as Kickstarter, GoFundMe, and Indiegogo has created a sort of privatized lottery system, whereby if you can design the right appeal for a product, cause, or someone in need, and it happens to gain momentum, then you may be buoyed by monies from complete strangers over the course of a few weeks. To be sure, most crowdfunding campaigns do not go viral and do not raise hundreds of thousands of dollars, despite occasional news stories suggesting that if you merely ask for it, then it will come. Many campaigns fail dismally. (Hence, the lottery-like quality to the whole deal.) However, crowdfunding has evolved into a viable option for entrepreneurs, social causes, and personal appeals. If you Google around a bit, you’ll find plenty of advice on how to design a crowdfunding campaign. But what if you’re on the receiving end of those requests? Over the last year, I’ve looked at several dozen crowdfunding campaign requests, either through sites such as the ones mentioned above, or via more informal means such as Facebook. At times, I will happily support a crowdfunding campaign for a good cause, interesting new product, or an individual facing tough times. On other occasions I might decide not to contribute. 1. Above all, is the request a legitimate one? There are so many factors that go into this assessment, including the individuals involved, the nature of the funding request, and the information provided in the crowdfunding appeal. This question pervades many other considerations discussed below. Whether it’s supporting a niche business idea, helping to launch new social venture, or lending a hand to someone in need, I want my contribution to have a positive impact. While this applies specially to larger amounts of money, it’s relevant even if we’re talking about modest donations. 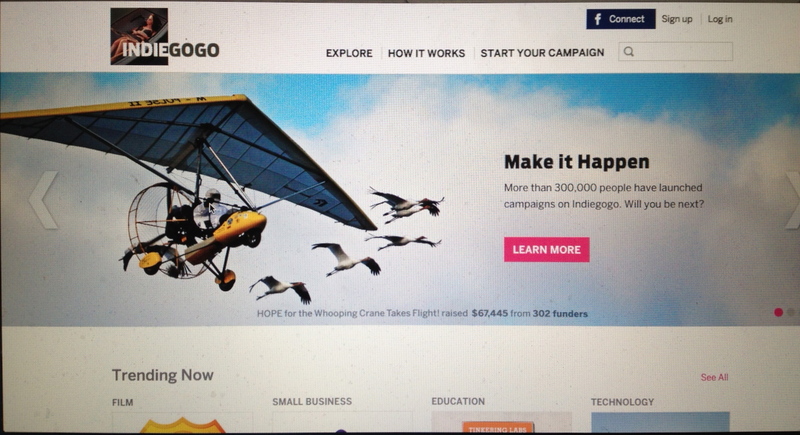 The integrity of a crowdfunding campaign depends in large part on its sponsor(s). Are they identified? Do they have an online presence? If you don’t know them or of them, can you otherwise verify the legitimacy of the request? 2. Is the funding campaign “fixed” or “flexible”? A fixed campaign specifies that if the minimum listed amount isn’t raised, then no one will be charged. By contrast, a flexible campaign takes your money even if the stated dollar goal isn’t reached. I tend to favor fixed campaigns because they tell me that the sponsor is confident in the appeal and its chances of success. In considering an appeal from a high dollar flexible campaign, I will weigh whether (a) it’s an organization or individual I know; (b) the appeal (including the amount) is realistic and well articulated, and (c) I strongly support the project on its merits. At times, if a flexible campaign seems promising but perhaps overly ambitious or not too well thought out, then I’ll wait to see if it’s attracting a lot of support. If not, there’s a chance that others have the same concerns. Let’s suppose, for example, that someone is asking for $25,000 for a project on a flexible funding basis. If, say, my $75 contribution is part of only $1,000 raised in total, then I may feel like a bit of a chump, having sent money to a project that isn’t even close to having sufficient funds to go ahead. On the other hand, I may so strongly believe in the project and its sponsor(s) that I will quickly make a contribution, knowing that they will use the money wisely even if they fall short of their fundraising goal. 3. Is there a sufficiently detailed budget? I want to know how the money will be used. I’ve read compelling appeals that are specific and detailed. I’ve read others for amounts around $5,000, $25,000, or even (yup) $100,000 that tell me very little. Guess who is more likely to get my contribution? When foundations consider grant applications, they typically required a fairly detailed budget. Having both written and evaluated grant proposals, I know that writing out these budgets can be a pain, and frankly there’s often some guesswork involved. Nevertheless, it’s about transparency and accountability. Likewise, crowdfunded campaigns should provide a budget, too. If someone is asking for money in a public way, it is reasonable to expect some specificity concerning how the funds will be used. 4. If it’s a personal appeal for, or behalf of, an individual in need, then how credible does it sound? This is a difficult question, loaded with personal biases relating to who is “deserving” of help, and subject to the narrative skills of the person(s) writing the funding appeal. Here are the personal appeals that cause me to back away fast: They tend to ask for larger sums of money, often five or six figures or more. Some sound excessive or suggest a failure to explore options. A few smack of The Secret on hallucinogens; it’s as if someone sat down and thought, I sure could use $100,000, so let’s go for it and maybe my request goes viral. However, especially in this age of massive wealth inequality, economic uncertainty, and a frazzled social safety net, it’s also true that a lot of people are struggling to pay their bills and to put food on their tables. We should keep our hearts open to personal appeals, while considering them carefully. 5. What do the perks, if any, say about the attractiveness and integrity of the funding request? On occasion I’ve funded something because the perk(s) offered seemed pretty cool. Maybe a perk includes the very product I’d like to support. Or perhaps it gives me a good feeling of connection with the people organizing the campaign. On other occasions I’ve declined to fund something because the perk(s) seemed cheesy or, well, insincere. By the latter, I mean that the perks were somewhat contrived and, in some cases, appeared to be deliberately difficult to fulfill. If, say, a $500 donation to a national campaign gets you a face-to-face cup of coffee with the project organizer, but you have to fly halfway across the country on your dime for that latte, then this should tell you something about the campaign sponsor’s regard for potential contributors — regardless of whether you can afford that level of support. 6. Is the funding request on behalf of an abused animal, or a beloved pet who needs expensive surgery? Put a sad looking little doggie or kitty cat on the funding page with a cry for help, and my critical evaluative skills often go out the window. Unless the critter is Cujo, I’m fumbling through my wallet for my credit card. Yup, I’m a sucker. This post was revised in December 2015. Does a sense of purpose contribute to a longer life? What’s the key to long life? Is it clean living? Lots of exercise? An abundance of vegetables? Actually, the key to long life may be something a bit more intangible: a sense of purpose. Researchers studying longevity say those who feel a sense of purpose and direction in life may indeed live longer, no matter what their age. Although this blog is mainly about work and workers, let’s acknowledge right away that we can create or discover a sense of purpose in a variety of ways, including employment, an avocation, a hobby, or volunteer and philanthropic work. It can come out of devotion to others, such as parenting, caregiving, or helping animals. It may be inspired by a broader cause or a personal objective. Faith and spirituality may enter the picture as well. It seems intuitive, doesn’t it? In fact, the capacity to develop our life purpose is one of the major distinguishing characteristics between humans and other living beings. Surely there are days when the life of a beloved dog or cat — basically hanging out, eating good food, playing when you feel like it, and getting lots of TLC — looks pretty good! But for we human folk, having a strong, motivating sense of purpose and direction is among the blessings that makes life worthwhile. Maybe some of the course rubbed off on me. Last November, I was crossing the street near Boston’s Faneuil Hall when I saw a man huddled in a blanket, shuffling past me in the opposite direction. I caught a glimpse of his eyes for only a second, but I could see a lot of sadness in them. When I got to the other side, I turned around and watched him make his way to a public bench, where he sat and seemed to just stare down. I decided to go back across the street, and then I walked over to the man. I pulled some money from my wallet and offered it to him, saying that it looked like he could use something to eat. He appeared to be in very bad health, but when he saw that I was giving him twenty dollars and we began talking, his face lit up. He was very grateful for the money, and I believe he was appreciative that someone took a few minutes to converse with him. What some might call a random act of kindness actually wasn’t all that random. 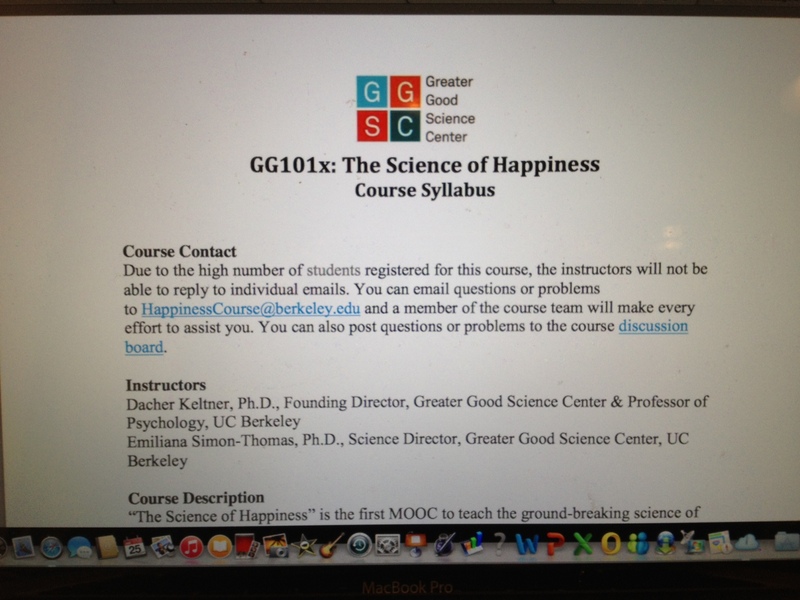 Last fall I completed a non-credit, online adult education course, “The Science of Happiness,” led by psychology professors associated with UC-Berkeley’s Greater Good Science Center. It was a substantial course on emerging scientific discoveries about what makes people happy, with weekly readings, video lectures, and quizzes, as well as mid-term and final exams. Among our optional assignments was to engage in random acts of kindness, drawing on psychological literature indicating that giving promotes happiness in both the giver and the receiver. Indeed, a little voice from that course was speaking to me when I walked up to that man and gave him money, and I found myself feeling very emotional afterward. Since then, I’ve repeated this act maybe a half dozen times, approaching people who appear to be very down on their luck, saying hello and giving them a twenty dollar bill. Over the weekend it was a man sitting on a subway bench with all of his worldly belongings stuffed into a grocery cart. Earlier this month it was a woman digging through a trash receptacle in search of food, a few feet away from where I was enjoying my lunch. A couple of times the recipients didn’t say much to me, but on other occasions they expressed surprise and deep gratitude. One man even hugged me. When you see someone’s facial expression go from weariness and despair to a big smile in a matter of seconds, then you know you’ve made someone’s day a little better. I have hesitated to put this in a blog post because I don’t wish to portray myself as being someone I’m not. I walk by most people I see panhandling on the street, and I’ve never volunteered at a homeless shelter. And let’s be honest: Twenty bucks isn’t exactly a huge sacrifice for a single guy earning a professional salary. But I thought I’d offer this story as just one example of how the non-saintly among us can make a modest difference in the world. No, it’s not “social change” in the grander way that I’d like to see, but if enough of us engage in these acts, then maybe the good stuff starts to add up to something substantial. Your not-so-random acts of kindness need not be the same as mine. But I can pretty much guarantee that whatever you decide to do, both you and the recipient(s) will feel better because of it. Go here if you’d like to learn more about the free “Science of Happiness” course. This piece has been cross-posted on my personal blog, Musings of a Gen Joneser. In other words, if we are lucky enough to achieve abundance, we should be thankful for it and work to share the means to create it with others around the world. The real trick is the second part of the formula: avoiding attachment. In Tibetan, the word “attachment” is translated as “do chag,” which literally means “sticky desire.” It signifies a desperate grasping at something, motivated by fear of separation from the object. One can find such attachment in many dysfunctional corners of life, from jealous relationships to paranoia about reputation and professional standing. In the realm of material things, attachment results in envy and avarice. Getting beyond these snares is critical to life satisfaction. However, at least here in the U.S., we’re living in an age of a widening wealth gap, with that $75,000 mark looking like an illusion to a majority of its citizens. Millions are living paycheck-to-paycheck, and still more are doing worse than that. …(T)he typical wealth of the nation’s upper-income households last year was nearly seven times that of middle-class ones. By Pew’s calculations, that is the biggest gap in the 30 years that the Fed has been collecting statistics from its Survey of Consumer Finances. Brooks engages in some rhetorical sleight-of-hand when he says that “we should be thankful for [abundance] and work to share the means to create it with others around the world.” In other words, he’s not suggesting that we share big chunks of our own abundance with others. Rather, if you read the rest of his article, you’ll pick up an implicit defense of a market-based economic system that supposedly can provide others with abundance as well. There’s a problem with that, of course. The economic system that has produced so much inequity over the past three decades isn’t exactly creating an abundance of opportunity these days. Steady jobs with good pay and benefits are in increasingly short supply. Around the world, the same corporate entities that took millions of those jobs out of the U.S. are now putting their manufacturing plants in countries where they can pay workers a fraction of what their American predecessors once earned. If you’ve read this blog for any stretch of time, you know that I’m not going to call for a socialist utopia to replace the big, bad capitalist system. I’m way past the point of pitching any rigid economic ideology as the answer to our wealth gap. But I’ll happily repeat my belief that a robust private sector must be complemented by strong public and non-profit sectors, as well as an ethic of giving that asks more of the most fortunate. On balance we need a healthier mix of economic opportunities, regulatory safeguards for the public good, and a social safety net. In his New York Times piece, Brooks writes that his inspiration for rethinking abundance was a travel encounter in India with “a penniless Hindu swami,” a “son of Indian petroleum engineers” in America who had traded in his MBA and the fast track for a more contemplative, austere life. That certainly provides grist for a curious narrative (well-paid think tank executive takes life lesson from ex-pat living in self-imposed poverty), but the deeper truth is that austerity and detachment from material goods are much easier to opt for voluntarily than finding yourself with no other choice. I start this post with a confession: I’m not fully walking the talk on this one. When it comes to charitable giving, there are some transcendant souls out there who set rare examples. I’m not one of them. But lately I’ve been wrestling with this question: How can we best make a difference with our charitable contributions? Given the frequent subject matter of this blog, I know there are many readers who are not in a position to contribute money to charities. But I know that others have that capacity, and I hope they’ll join me in thinking about this. Lately I’ve been reckoning with my own giving, which has strongly favored charities that benefit those in the U.S. For a variety of reasons, I realize that I should also be contributing more to organizations and initiatives that are tackling extreme poverty around the world. I’ve been spending good chunks of time on the websites of two entities, The Life You Can Save and Giving What We Can, both of which offer powerful moral and ethical arguments that we should be donating more to reverse extreme poverty. The Life You Can Save is a movement of people fighting extreme poverty. We spread knowledge of what we can all do to reduce poverty and the suffering it causes. We encourage people to support highly effective aid organizations, and to inspire others by joining our community of over 16,000 people who have publicly pledged their commitment to help make the world a better place. The members of Giving What We Can each pledge to donate 10% of their income to the most effective causes. Giving more is easier than most people expect, and easier still when you’re part of a global community of givers, united by the vision of a world without poverty. Learn more about our members, the pledge to give, and what you can achieve by joining Giving What We Can. If you need to be persuaded of the worthiness of such giving, consider this: Your money can literally save lives. Again: You can save lives. In the U.S., some will counter that we should help “our own” before making donations to help the poor in other countries. Certainly I believe we need to continue giving to charities that help those in need here. However, we also must keep in mind that even the poorest Americans, with the significant exception of homeless persons, have better living conditions than countless millions of others who battle dire poverty, sickness, and hunger on a daily basis. So let’s not ignore “our own.” But let’s remember that we inhabit this planet with many others who are struggling merely to stay alive. Also, some will urge that monies should be saved and donated via one’s estate, rather than given away now. First, they say, interest can compound and increase the eventual gift. Yes, that’s true, but people are starving and dying now. Second, some say that we shouldn’t be too quick to donate money that we may need in the event of a job loss, some other major financial setback, or retirement. I confess to having those fears, and they trace back to much younger days growing up, when at times our family relied primarily on Mom’s meager salary as a kindergarten teacher as the primary source of income. Today I’m making a very good salary as a tenured professor, but the financial instability of higher education triggers those anxieties, and not without justification. Nevertheless, such worries do not compare with going hungry for days or wondering whether your kid can obtain treatment for malaria. Not even close. Many live frugally yet struggle to make it to the end of the month or to the next paycheck. This post is especially for those who don’t face such difficult financial burdens. Yes, it’s about giving what we can. Personally, my main 2014 financial resolution is to meet the 5 percent benchmark of The Life You Can Save. I’m hoping that by publicly saying so, I’ll both increase the likelihood of honoring my own commitment and encourage others to join me. 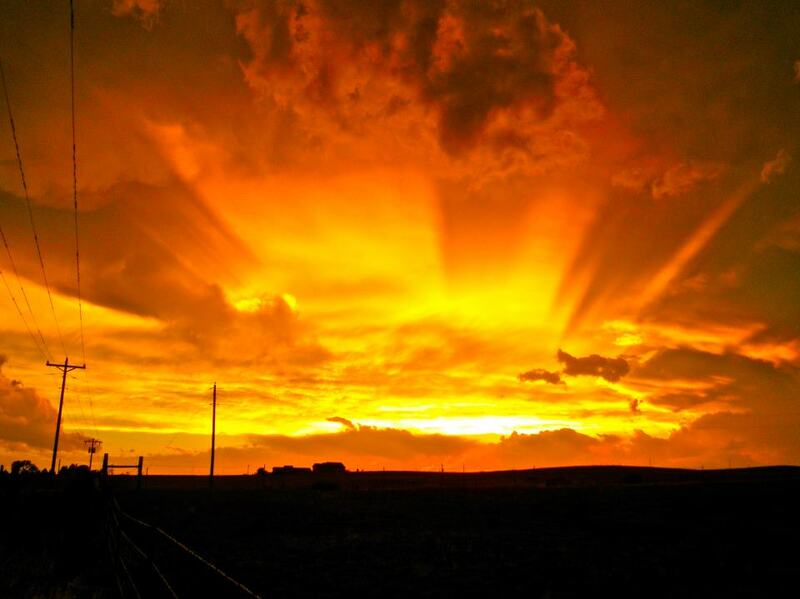 The photo above is an enhanced version of an original I took in Colorado in 2012.